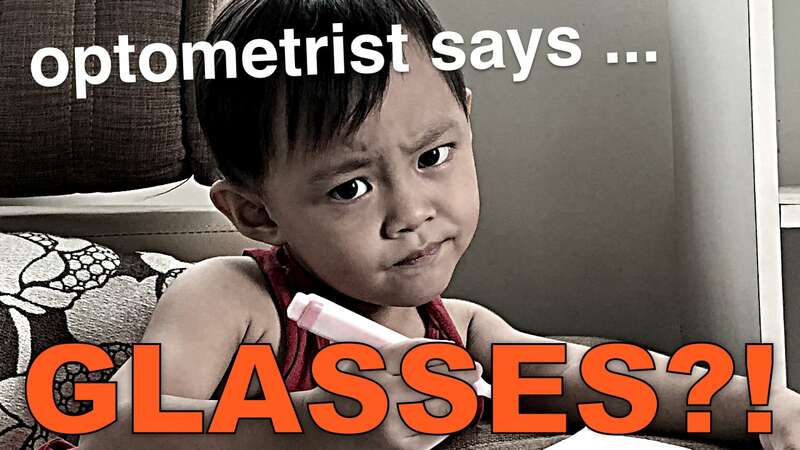 Measuring your astigmatism does require a bit of preparation. 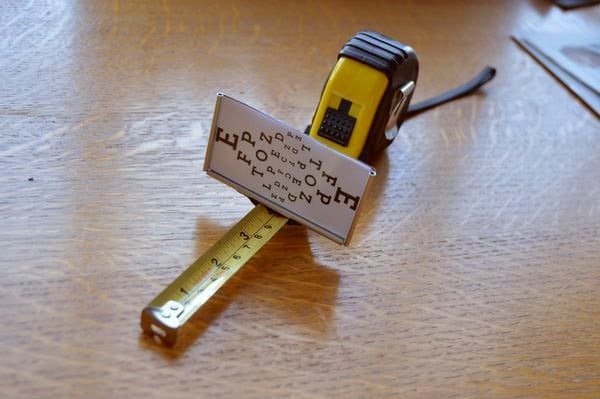 There are two (fundamentally very similar) ways to do it (without a test lens kit), both requiring a measuring tape, a piece of paper, and a tiny bit of math. First let’s look at the printable solution, the slightly more accurate (and cool) way. You’ll need a printer for this one! Note the PDF version of this is here, which includes the printable tool and all instructions. Get a flexible measuring tape. 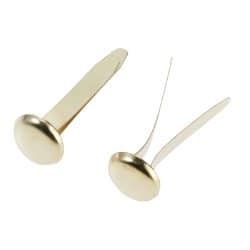 Attach the dial piece to the degree dial using a paper fastener. 1, Attach the measuring tool to a fixed surface. 3. Focus on the indicator dial line, slowly moving back until you start to see blur. 4. 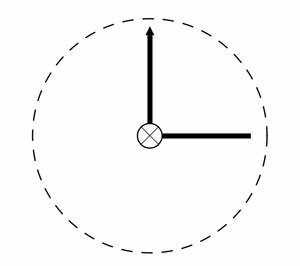 Turn the dial until the line with the arrow becomes clear. 5. Write down the degree value (axis number) the arrow points to. 6. Repeat with right eye. 1. Cover the left eye. 2. Move back until you find the blur point (both lines still clear, but right at the edge of blur). 3. 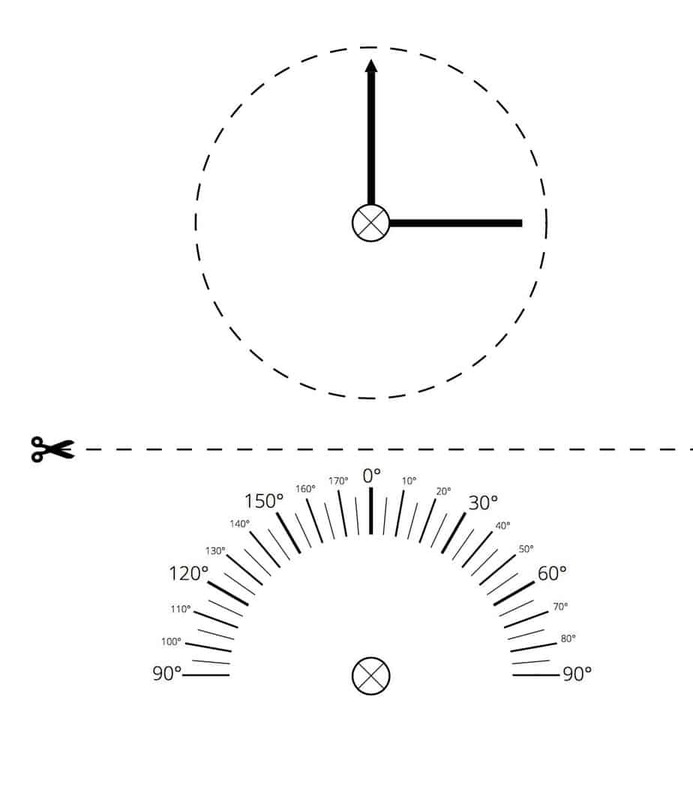 Measure & record the distance a) from the measuring tool to your eye. 4. Continue moving further away from the tool until you begin to see a double image of the line without the arrow. At this distance the line with the arrow should be just slightly burred. 5. Measure and record this distance b). Record all values in your log. Repeat measurement at least twice daily for at least three days. Evaluate real astigmatism values based on result averages. 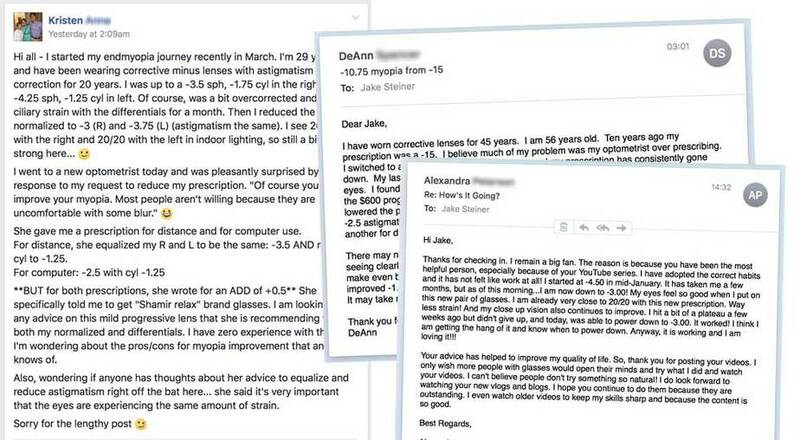 In many cases astigmatism below 1 diopter is not necessary for differential (close-up) correction lenses. Assess your own needs by checking your close-up vision without glasses and degree of astigmatic blur your experience. 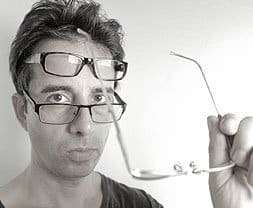 When reducing astigmatism correction, substitute 1/2 diopter of spherical correction for 1 diopter or astigmatism correction for relative equivalent focal plane correction. 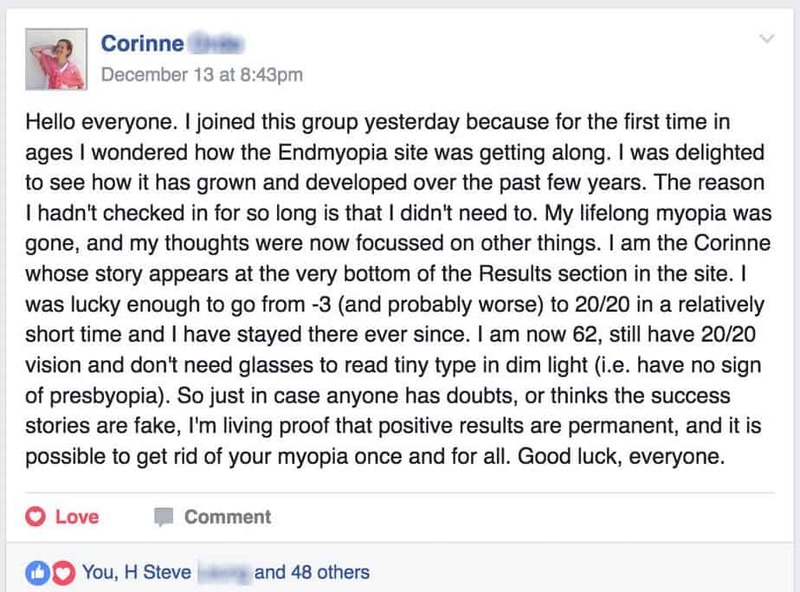 *Consult your natural myopia control friendly optometrist or ophthalmologist for additional guidance and where required by law. Do not use less than required correction for driving or activities requiring ideal acuity in potential adverse conditions (poor lighting, moving at speed, etc). 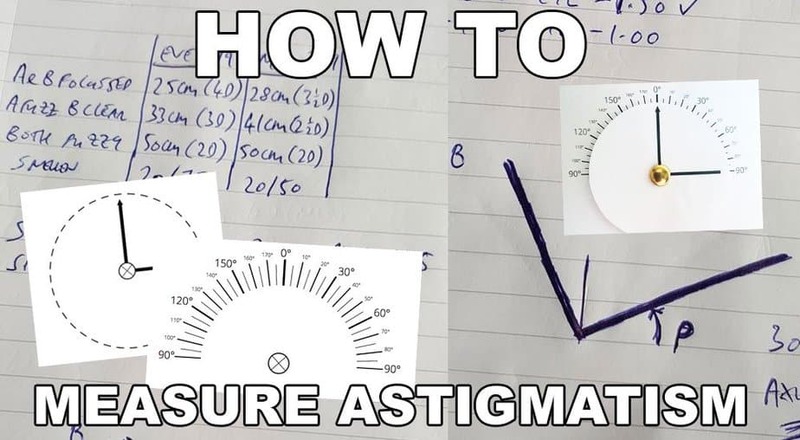 So that’s the first way of measuring astigmatism. 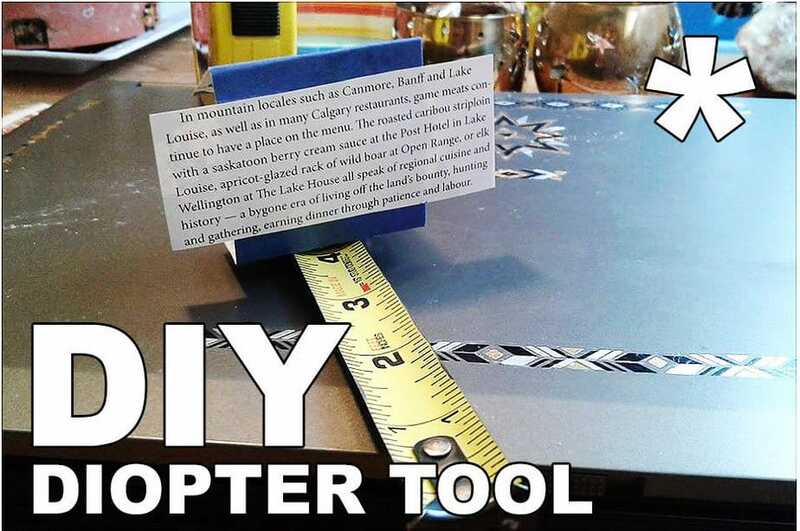 You can accomplish the same thing without a printer, as long as you have a measuring tape, piece of paper, and a pen. *The following is courtesy of Ian, posting this thread in our Facebook group. If you have astigmatism here is a good way to measure it. On a piece of white paper draw two lines about 5 cm long and around 2 mm thick at right angles to each other. 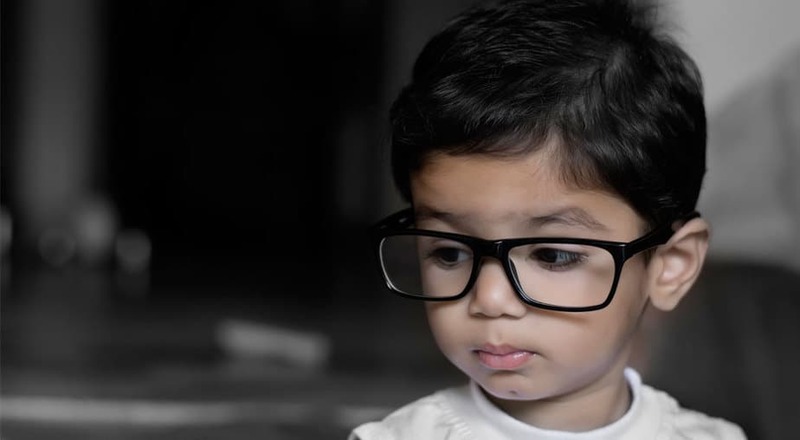 Take off your glasses and in a well lit room place the paper where the lines are both slightly out of focus. 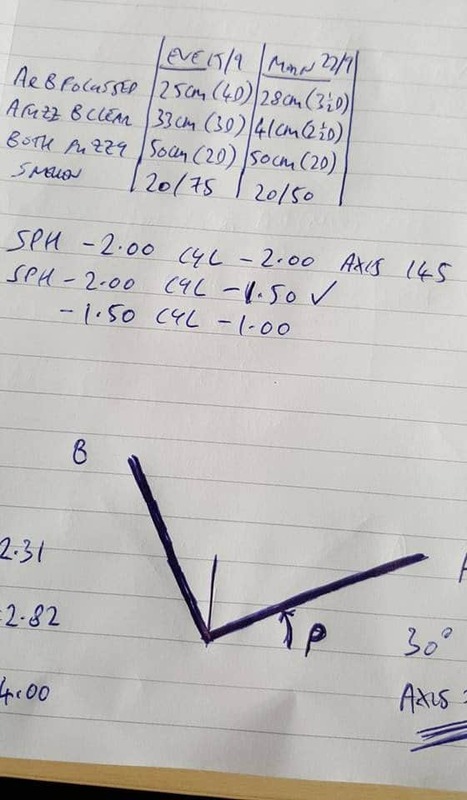 Now rotate the paper and you should notice one of the lines will come into sharp focus and the other one will become more blurry – that is your astigmatic axis. Now fix the paper on the wall or on a convenient tabletop in that position. Label the in focus line as B and the blurry line A. Go and grab your measuring tape. Now move close to the chart such that both lines are in focus. Now move away so that A is just a tiny bit out of focus – record the cm as reading 1. Now move further away such that A blurs but is just at the point where it is still resolvable as a single line and not doubled. B should be a slight bit blurred at this stage – record the cm as reading 2. Your axis you can calculate from 180 – p where p is the angle measured from the horizontal to line A. 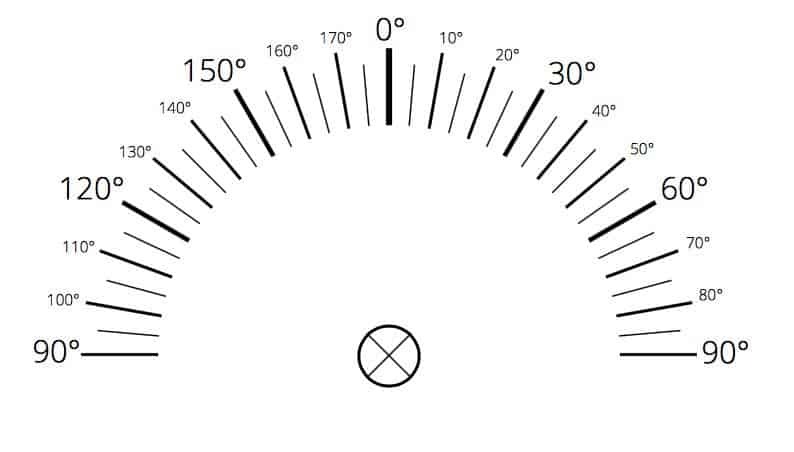 In my case p = 30 degrees therefore my axis is 150 which is pretty close to the opticians value of 145. Here is a photo of my chart – lots of notes scribbled as i was working out how to measure everything. Last week i was at cyl -2.00 this week cyl is -1.50 sph about the same which is not surprising as i am wearing -2.00 glasses. Notice the improvement in the snellen chart (with glasses) as my astigmatism falls. 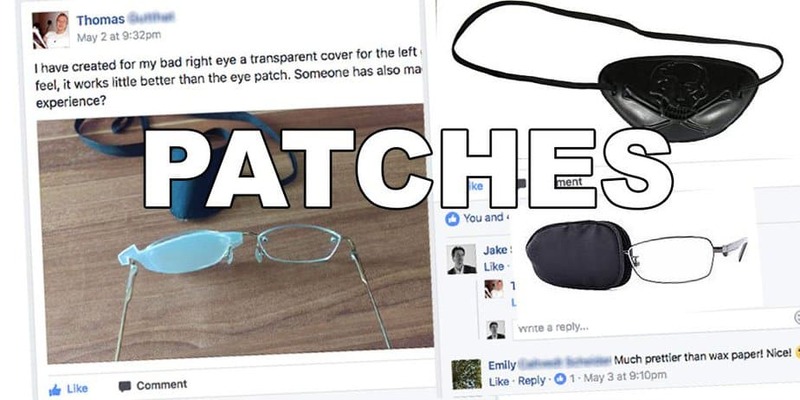 Note that these tools exist because of the contribution of our excellent community of crafty myopes. Give them a thumbs up, contribute to the conversation, share your own DIY tools, improvement reports, and help newbies get on track with their own vision improvement goals. Have fun with all of this, drop me a line and share your experiences. 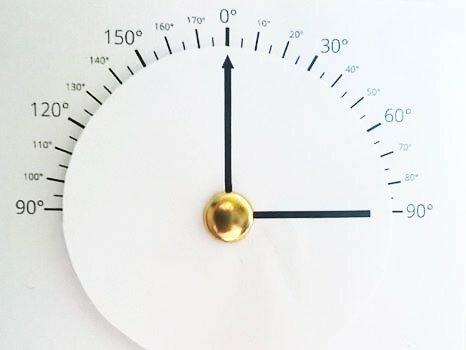 Other ingenious DIY tools: the centimeter measuring add-on (read all about it at the link). Band of myopia dissident geniuses! Add this to our excellent printable eye charts and our equally excellent centimeter diopter measuring tape in A4 size as well as letter size.